Creating a brand new story in the middle of an already established and extremely popular universe is something quite daunting. However Telltale Games has so far succeeded by entering into The Walking Dead series with the first episode of their Walking Dead video game, A New Day, the review of which you can see here. Now that a couple of months have passed fans’ patience has been rewarded with the second episode of Telltale’s five part game. Does The Walking Dead: Starved for Help provide a similarly stunning experience that was delivered in the first episode? Starved for Help picks up three months after the end of episode one and the survivors have been able to protect the motor inn with a number of fortifications and survive. 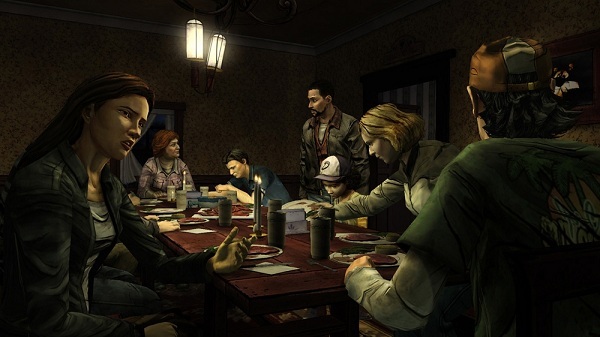 Players will still be in control of Lee Everett, a man with a shady past, whose main concern is keeping the young Clementine alive while also trying to work together with the rest of the survivors in his group. While the group has been able to survive the zombies for three months, there is a new problem which is threatening the entire group. The group is running low on food, so low in fact that many of the group are going without food. With their foodstuffs dwindling, the group has taken to hunting for any animals in the area, though during their hunting trip, Lee and a new face stumble upon one of the first major choices of the episode. As with the first episode, players will have to make a number of crucial choices which will adjust the game’s storyline both immediately and in future episodes. Being the second episode, a number of choices the player made in the first game will carry over into this episode, meaning that a few pieces of your storyline could be drastically different from that of your friends. Now with the survivors on the brink of starvation and the sudden revelation of a startling fact, new survivors stumble upon the Motor Inn claiming that they are from the St. John’s Dairy Farm. The two men offer to make a deal with Lee and his group, trading gas for food. With zombies roaming the woods and the threat of starvation looming, the group agrees to check out the farm. 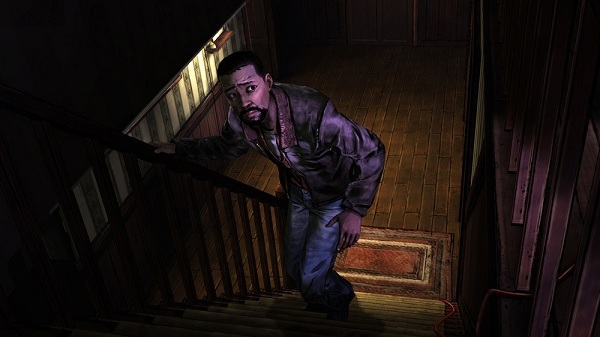 Interestingly enough, while the first episode of Telltale’s Walking Dead was focused heavily on introducing characters, trying to survive against mobs of undead and coping with the loss of loved ones, Episode 2 can begin to define who Lee is, and therefore who you are, by his decisions. While many decisions in Episode 1 focused heavily on relationship building and standing up for people, Episode 2 could easily find players making difficult decisions that they would never have dreamed of just a few months ago. To top it off, Telltale’s story writers have done an excellent job creating a slow and steady build of suspense, as players explore the farm and interact with the farmers who have been living there, seemingly untouched by the zombies. Are they simply being protective of their sanctuary or is there something more to the questions they ask? You will have to find out for yourself, though when you do, you may be left just as speechless as I was. As before, the use of the cel-shaded visual style employed by Telltale is superbly handled and matches the feel of the comic book series perfectly. Given the three month time advancement it is interesting to see that a number of the characters have grown a bit more rugged and haggard in appearance. The player visits nearly all new areas this time around and they are still visually impressive. Unfortunately during my time with Starved for Help, I experienced a number of issues with lip-synching as well as the character models themselves either sliding around on the ground, defying the laws of physics, occasional stuttering cutscenes and Lee rubberbanding during other scenes. While these issues don’t detract too much from the experience, it is disappointing to see them so evident this time around. Despite a few lip-synching issues, the voice actors for the title deliver just as admirable of a performance as players will remember from Episode 1. There are a number of scenes which are accentuated perfectly by the game’s non-intrusive soundtrack which only helps to add atmosphere to the title when necessary. 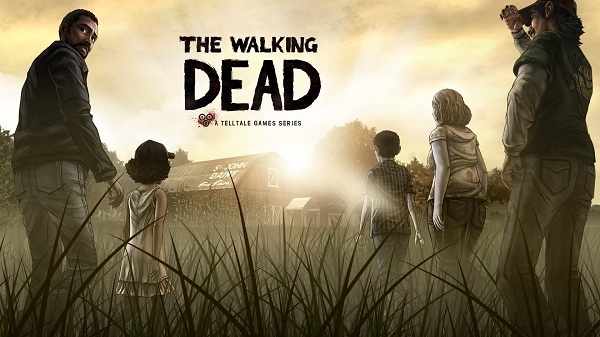 As with the first episode, Telltale’s The Walking Dead: Starved for Help splits its game between exploration and interaction with other survivors, your environment and solving simple puzzles and action scenes where players must think quickly and perform certain actions or succeed at quick time events to survive. 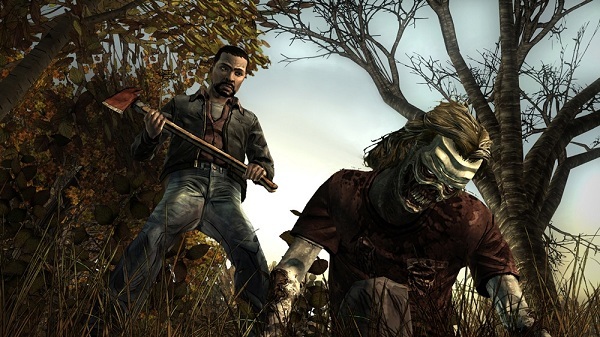 Now unlike the first episode, players will be spending less time focusing on the zombies and more on the human element of surviving an apocalyptic journey. This time around Telltale has added in a few more puzzles which usually require collecting easy to find items and performing a set task. These puzzles, while not truly difficult, are better than what was offered in Episode 1. In fact, for some people there is even a bit of a joke made about the fact that one of the puzzles from the first game made little to no sense whatsoever. Now while the puzzles themselves may not be overtly difficult or numerous, the dialogue choices you will have to make when conversing with other survivors and newly met members will more than make up for it. Not only will players begin questioning even basic answers but as mentioned before, players will again be forced to make a number of decisions which will not only change the way the story progresses but also how people see Lee as a person. As unrest begins to settle in among the survivors, players will be torn between two leaders, face unimaginable horrors and more. The choices players make in this episode feel like they only change the outcome slightly however, though of course that has yet to be seen, though similar to last episode, we are given a brief preview of what may happen in Episode 3, which is not only a nice reward for those who make the effort to play through the game multiple times, making different choices each time, but also a nice way to make fans eager for the third episode. Of course, they can always go back now and play both episodes over again and see how things really change. 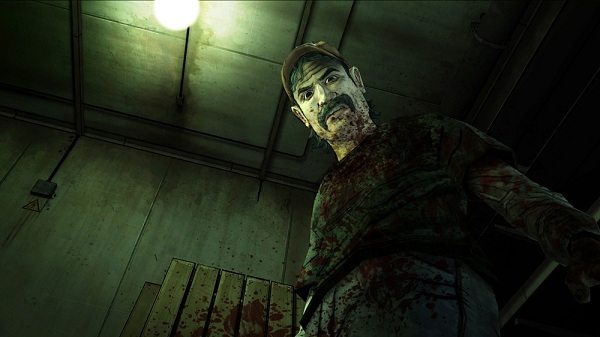 Telltale’s The Walking Dead continues to impress with Episode 2: Starved for Help. By changing the focus of the story to make players more concerned about the human element of survival and less on the shambling undead. Few games will have players questioning their decisions so much as they try to balance their relationships with other survivors while trying to stay alive. 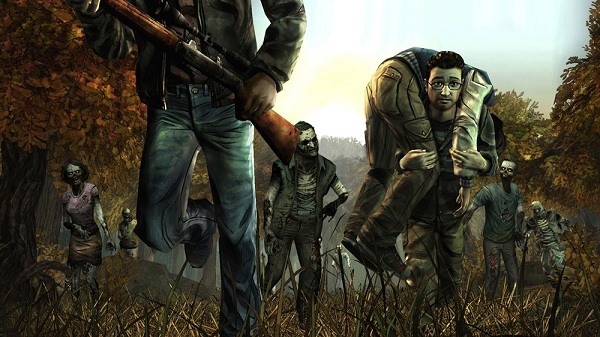 Lee’s journey through the zombie apocalypse is far from an easy one and players will certainly be eager to see what will happen next time around.